Rudi Covre has been practicing criminal law for over 25 years and is currently with the law firm of Genova, Covre. A graduate of the University of Windsor, Faculty of Law. Mr. Covre also attended the University of Oxford, England, for a specialized law program. Mr. Covre has appeared before countless courts and tribunals in a number of jurisdictions throughout the province of Ontario. He has conducted hundreds of trials at both the Ontario Court of Justice and the Superior Court of Justice. Mr. Covre’s tenure as a standing agent prosecutor for the Federal Department of Justice has contributed significantly to his ability to conduct criminal trials. A relentless advocate who approaches every case with a “leave no stone unturned” attitude. Rudi Covre has garnered a reputation as a fierce advocate who strives for victory in each case he defends. The Law Office of Rudi Covre is a well-established law firm located in Woodbridge, Ontario that provides a wide range of quality, cost-effective legal services to clients throughout Ontario. We strive to meet the legal needs of our individual clients and their families, and of small businesses, by offering personalized service that allows us to understand each client’s individual needs. 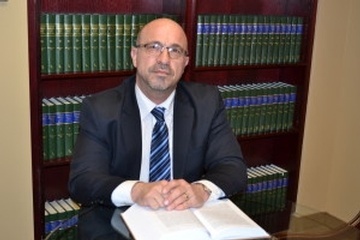 Vaughan criminal lawyer, Rudi Covre, has help defend clients charged with various criminal offences. From less complicated driving over 80 charges, to more complex cases, like drug offences, Rudi has helped his clients obtain the best possible results. Defending the rights of his clients is Rudi’s primary goal and this is evident because he only specializes in criminal law. Rudi is fully dedicated as he prepares defences for his clients and works hard to deliver the best possible outcomes. Even though Rudi cannot guarantee what outcomes may occur, having him represent your case often results in better resolutions to your criminal offence than without any legal representation. Facing a criminal offence charge is a stressful experience for most people. This might be your first offence and you have no idea what is going to happen. On the other hand, you could be facing a repeat offence and need proper legal representation to ensure the court hears your side of the events. Whether this is your first offence or fifth offence, Rudi Covre has the experience, knowledge, and skills required to and help navigate you through the proceedings while representing your interests and protecting your rights. Rudi Covre is not afraid of the Crown, their attorneys, or judges. He is prepared to ask the hard questions no one else wants to ask, and never gives up in cases where your rights have been violated. In preparation for your criminal charge defence, Rudi Covre encourages his clients to take a proactive approach. For example, if you have been charged with DUI, Rudi wants you to take steps to get your life back on track before your court hearing using his team of experts to help you develop a strong community support network. By taking steps now, before you are sentenced, the courts tend to look upon your efforts favorably. Rudi has helped clients either avoid jail or obtain reduced sentences using this method. Rudi’s professional experts also assist in situations where clients are facing incarceration because of their criminal charges. His team sits down with you and informs you of what to expect upon entering the correctional system, how to obtain early parole, and other details. Rudi’s parole advocate has assisted clients procure early release on multiple occasions. When you are charged with a criminal offence, timing is essential. The sooner you retain the services of Rudi Covre, the much better it is for your case. If you are arrested, served noticed for a police interview, or asked to come in for questioning, do not discuss the case with the police until after you have retained a criminal defence lawyer. The police and Crown have unlimited resources at their disposal to prosecute your case. You, too, deserve the best representation in preparing your defence by having an experienced Vaughan criminal defence lawyer on your side. Contact Rudi Covre now for a free consultation to discuss your criminal offence charges and obtain assistance from an experienced criminal lawyer in Vaughan to protect your rights and prepare your defence. We serve clients across Vaughan, Woodbridge, Brampton, North York, Toronto, and Richmond Hill.